In its Judgment of 10 November 2017 in Jema Energy v Entreprise, T-668/15, EU:T:2017:796 (only available in Spanish and French), the General Court of the Court of Justice of the European Union (GC) engaged with a claim that, by setting exceedingly demanding qualitative selection criteria, the contracting authority had artificially narrowed down competition. I find this case very interesting because I expect this type of argument to be increasingly used in procurement challenges as a result of the consolidation of the principle of competition in Article 18(1) of Directive 2014/24/EU [for my interpretation, see A Sanchez-Graells, Public Procurement and the EU Competition Rules, 2nd edn (Oxford, Hart, 2015) ch 5]. Even if Jema Energy v Entreprise was decided on the basis of the Implementing Rules of the Financial Regulation applicable to procurement by Fusion for Energy, given that the GC explicitly considered Art 18(1) Dir 2014/24/EU, I think that the Judgment offers valuable pointers as to how the case law may develop in this area. The case at hand concerned a tender for the design, manufacture, supply and installation of electrical equipment where the contracting authority established qualitative selection criteria concerned with previous experience that required tenderers to demonstrate previous delivery of specific types of equipment in the 5 years prior to the tender. A tenderer requested repeated clarifications on the requirements and prompted the contracting authority to change the requirements. The contracting authority replied that it did not appreciate the presence of objective circumstances requiring such changed. Eventually, the tenderer was rejected for not meeting the requirements and the decision was challenged. One of the grounds for the challenge was based on a breach of the principle of proportionality and on the 'artificial narrowing of competition'. I will concentrate on this ground of appeal (paras 67-109 of the Judgment). It is interesting that the third ground of appeal treated separately claims on the basis of the principle of proportionality (supported by reference to the Commission's Guidance for practitioners on the avoidance of the most common errors in projects funded by the European Structural and Investment Funds) and on the artificial narrowing of competition (which was build by reference to Art 18 Dir 2014/24/EU). After making reference to the broad discretion of contracting authorities in the design of the tender procedure, including the choice of qualitative selection criteria and their form of assessment, and the subjection of the exercise of that discretion to compliance with general principles of EU law (paras 73-74), the GC assessed each claim separately. 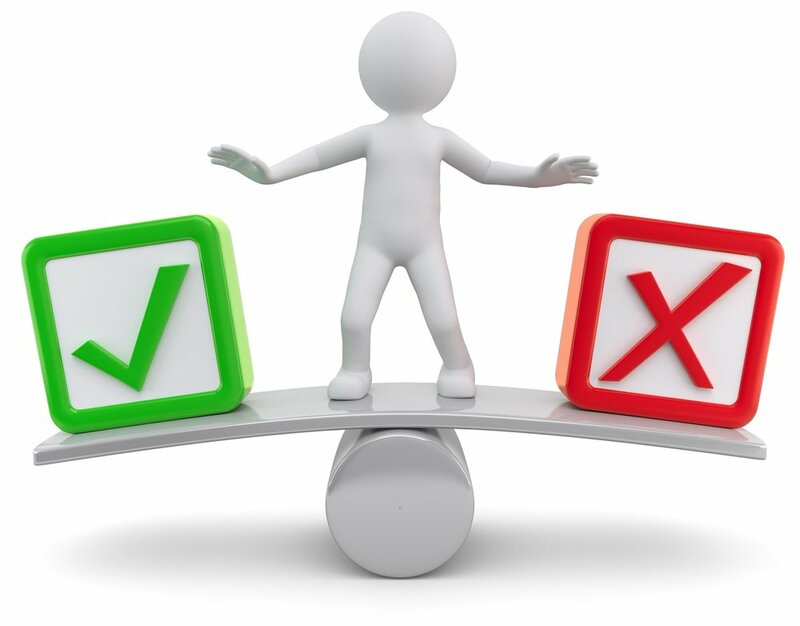 The proportionality analysis is very formal and mostly relies on the lack of supporting evidence for some of the technical claims against the proportionality of the qualitative selection criteria. It is also disappointing that the GC decided not to engage with the arguments based on the functional criteria included in the Commission's guidance for ESI-funded procurement on the basis that this specific project did not concern those funds, which misses the opportunity of both identifying whether the guide includes best practice recommendations and, if so, to rely on them for the development of more detailed case law on the application of the principle of proportionality to discretionary decisions of the contracting authority. Granted, such engagement may not have been necessary to decide the case at hand, but this flat-out rejection of the substantive argument comes to diminish the value of soft law efforts oriented to the creation of best practice standards--which is the only type of guidance the Commission seems willing to adopt these days. It should be noted that Directive 2004/18 did not contain a provision similar to Article 18, paragraph 1, second paragraph, of Directive 2014/24 [prohibiting a contracting authority from designing the tender with the intention of artificially narrowing competition by unduly favoring or disadvantaging certain undertakings]. Indeed, Article 2 of Directive 2004/18 referred, as does Article 18 of Directive 2014/24, to the principles of awarding contracts, namely the principles of equal treatment, non-discrimination and transparency, without explicitly referring to the prohibition of artificially restricting competition. However, Article 2 of Directive 2004/18 must be interpreted in the light of the recitals in the preamble thereto, and in particular in recital 2, which provides for effective competition in public contracts, as well as in light of the case-law according to which effective competition and the opening to undistorted competition are essential objectives of Directive 2004/18 and in particular of its Article 2, for which attainment Union law applies in particular the principle of equal treatment between tenderers or candidates and the obligation of transparency that results from it (see, in this regard, the judgment of 17 March 2011, Strong Segurança, C-95/10, EU:C:2011:161, paragraph 37, see also, in in this sense, the judgments of March 29, 2012, SAG ELV Slovensko and others, C-599/10, EU:C:2012:191, paragraph 25 and the case law cited therein, and of October 10, 2013, Manova, C- 336/12, EU:C:2013:647, paragraph 28 (T-668/15, para 91, emphasis added, own translation from Spanish). ... the principle of equal treatment between tenderers, which aims to encourage the development of healthy and effective competition between undertakings participating in a public tender, requires that all bidders have the same opportunities in formulating the terms of their offers and implies that they are subject to the same conditions for all competitors. In addition, the courts of the Union have stated that one of the objectives of the Union rules on public contracts is to open them up to the widest possible competition and that it is in the interest of Union law to ensure the broadest participation possible of bidders in a tendering procedure. It should be added, in this respect, that such an opening to the widest possible competition is contemplated not only in relation to the Union interest in the free movement of goods and services, but also in the self-interest of the contracting authority involved, which will thus have greater choice in terms of the most advantageous offer and the best adapted to the needs of the public entity concerned (judgment of 10 November 2015, GSA and SGI / Parliament, T-321/15, unpublished, EU:T:2015:834, paragraph 58, see also, in this regard, the judgments of December 23, 2009, CoNISMA, C-305/08, EU:C:2009:807, paragraph 37 and case law cited, and of June 18, 2015, Martin Meat, C-586/13, EU:C:2015:405). It follows that an obligation for the contracting authority not to artificially restrict competition can be deduced from the general principles of law to which the [contracting authority] is subject, and especially from the principle of equal treatment (T-668/15, paras 101-103, emphasis added, own translation from Spanish). I find this point of departure extremely interesting and I think it comes to confirm my long-held view that the 2004 procurement rules already included an embedded principle of competition, which the rest of the general principles seek to give effectiveness to [see A Sanchez-Graells, Public Procurement and the EU Competition Rules, 1st edn [Oxford, Hart, 2011] ch 5]. I also think that it provides the right framework for the assessment of the competition implications of the requirement of demanding qualitative selection criteria. However, in the operationalisation of the test to check whether such obligation not to artificially narrow down competition had been respected, I find some fault in the approach followed by the GC in Jema Energy v Entreprise because it is limited to the specific requirements of the principles of proportionality, transparency and non-discrimination, without any sign of competition-orientedness. In that regard, I find it disappointing that the GC decided that, in the case at hand, the selection criteria were not contrary to the obligation not to artificially narrow competition because: (i) the demanding criteria were objectively justified and did not favour or disadvantage any undertaking or impair the ability of the contracting authority to choose the most advantageous offer (para 105); (ii) they had been subjected to proper transparency requirements (para 106); (iii) the time period of allowed references on previous experience had been extended from the minimum 3 years to 5 years prior to the tender (para 107); and (iv) the fact that 3 out of 5 tenderers were able to meet the selection criteria is a sign that competition was not restricted (para 108). I think that the tests applied by the GC do not add any meaningful competition check. First, because proportionate is different than competition-neutral. Second, because transparency is irrelevant (whereas its lack may be relevant). Third, because extending time periods is also irrelevant if the material content of the requirement is limiting competition. And fourth, because finding that competition was not restricted because a majority of tenderers that expressed interest managed to qualify falls in the trap of tender-specific reasoning and ignores the possibility that many undertakings were dissuaded from participating in view of the (potentially) exceedingly demanding qualitative selection requirements. Thus, my view of the GC Jema Energy v Entreprise Judgment is mixed. On the one hand, I think it is good news that the existence of the principle of competition and the ensuing prohibition of artificially narrowing competition constitute an uncontroversial grounds for the review of procurement decisions--even where Art 18(1) Dir 2014/24/EU does not apply, as a consequence of the competition-orientedness of the applicable general principles. However, it is also clear to me that more work is necessary for this test to be developed in a way that adds to the standard analysis under those general principles, so that the obligation is not rendered moot. This is something I am currently working on, and which I will build on the basis of the preliminary ideas I presented at Oxford recently. I will keep readers of the blog posted.